Yesterday we learned about the affordable housing component fronting V Street – here’s the project fronting U Street. 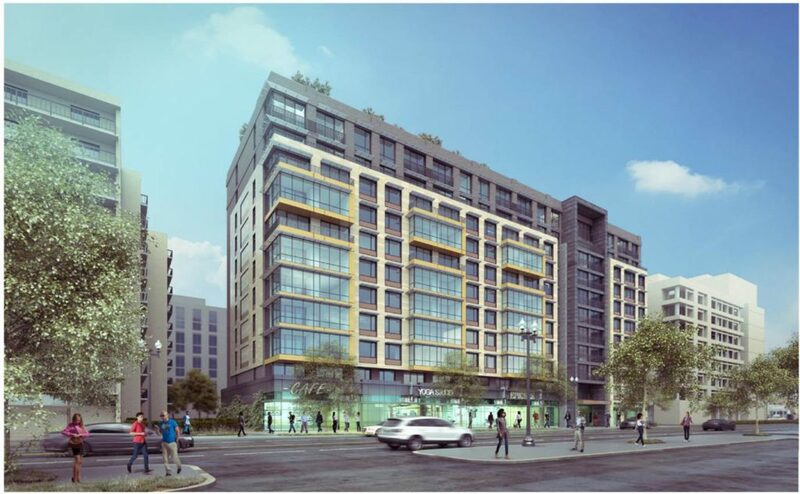 “High Street Residential has partnered with Deutsche Asset Management to develop a 288-unit, Class-A, multifamily project, located at 1441 U Street, NW, Washington, D.C. This luxury apartment project will also feature more than 15,000 square feet of retail in the core of the U Street Corridor. Construction is scheduled to commence Q3 2016, with completion in mid-2018. 1441 U Street is located adjacent to the Frank D. Reeves Center of Municipal Affairs, at a site that was once the home to the now-razed, 48-unit Portner Place Apartments. This site will also contain Portner Flats, a 96-unit affordable housing complex fronting V Street, NW that will be developed concurrently by a joint venture between Somerset Development and Jonathan Rose Companies.